Health conscious consumers are increasingly ditching old favourites vegetable and canola oil for trendy alternatives like coconut and peanut oil. But are they any healthier? And how do they compare with other options such as heated olive oil and butter? The short answer is, it depends. The long version requires a quick lesson in food science. Edible fats and oils are all part of the lipid family. Fats, such as butter, are solid at room temperature and oils are liquid; their solidity depends on their chemical makeup. Saturated fats are mainly derived from animal products such as meat and dairy. They have no double bonds. Monounsaturated fats are found in olive oil, avocados and macadamia nuts.They have one double bond. Polyunsaturated fats come from corn, seed and nut oils (omega 6) and seafood (omega 3). They have two or more double bonds. Fats and oils always include a range of saturated and unsaturated fatty acids. The greater the proportion of saturated fatty acids, the more solid it will be at room temperature. Once digested, we use the fatty acids to maintain the function of our body’s cells and cell membranes, in hormones and in neurotransmitters. They’re also important for our skin, hair and nails, and they keep us warm and cushion our internal organs. Fats and oils are used for energy production and provide the most energy per gram of all the macronutrients (fat 37kJ/g; carbohydrate 16kJ/g; and protein 17kJ/g). Use sparingly: butter is a saturated fat. But it’s important to balance the amount of fat we eat and the energy we expend in order to prevent obesity. polyunsaturated fats are recognised as protective. Therefore, the greater the proportion of mono and polyunsaturated fatty acids contained in a particular fat or oil, the healthier it is. The longer the fatty acid chain and the fewer the double bonds, the hotter the fat can be heated without it starting to breakdown – or in scientific terms, be oxidised. The temperature at which this oxidation occurs is called the smoke point and it is associated with unpleasant odours and flavours. To fry food you need a high temperature and therefore a high smoke point, so saturated fats with long chain lengths work best. 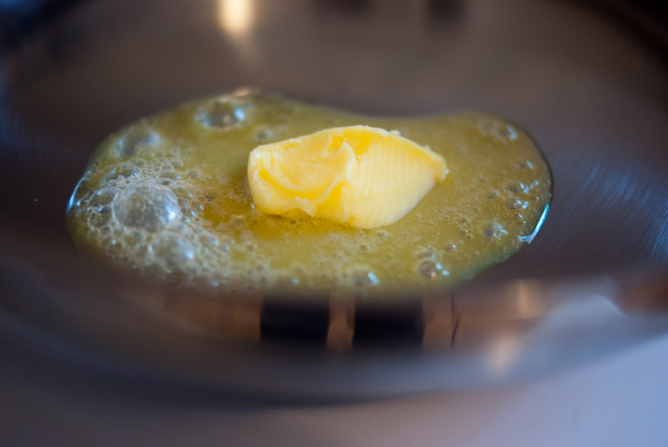 Tallow (rendered beef fat) or ghee (rendered butter) are often used for frying, but these are saturated fats, so they’re among the least healthy. Butter is also a saturated fat, but has other components as well. The dairy proteins, relatively high water content and short chain fatty acids mean butter is great for browning food, but not for frying as it starts to splatter when heated to a high temperature. Vegetable oil is a term used for any (non animal-based) oil from vegetable or seed origin. Or it can be a blend of these oils. It is mainly polyunsaturated fats of different chain lengths, so it’s one of the healthier options. Canola oil, which was developed from rapeseed, was specifically developed for frying as it contains predominantly longer chain monounsaturated fatty acids and has a relatively high smoke point. 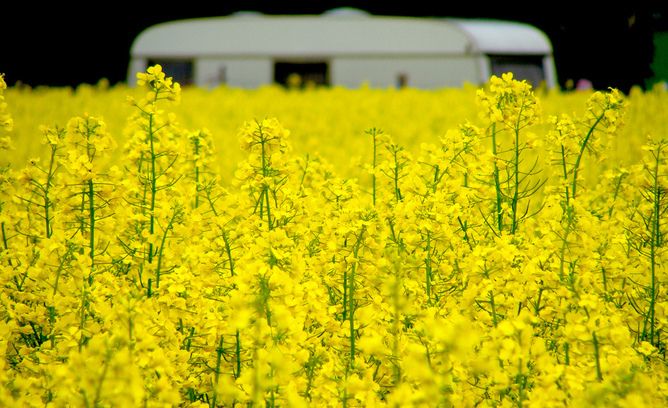 Canola oil is harvested from rapeseed. Peanut oil (from peanuts) is mainly long chain omega 6 (polyunsaturated) fatty acids. It has a high smoke point and is also good for frying. Olive oil is predominantly monounsaturated fatty acids, but has the added benefit of polyphenolic compounds which act as antioxidants and contribute to the health qualities of this oil. Olive oil does not have a high smoke point, so should only be used for low-temperature cooking. Cold pressed olive oil is the best choice, as it is not heated or processed by chemicals in the extraction of the oil from the olive. Olive oil is easily oxidised so should be stored in a dark place in a coloured bottle. Fats and oils are also used in baking, adding taste and texture to cakes, biscuits and pastry. The best fat for this role is saturated fat. Currently there is no other mono or polyunsaturated fats that can completely replace the role of saturated fats in baking, and this is one of the reasons we suggest eating these foods only occasionally. Coconut oil has 85-90% saturated fatty acids. It has traditionally been used in curries, but its recent popularity with health conscious consumers has seen it added to all kinds of foods from muesli to smoothies. The predominant fatty acid in coconut oil is Lauric acid. 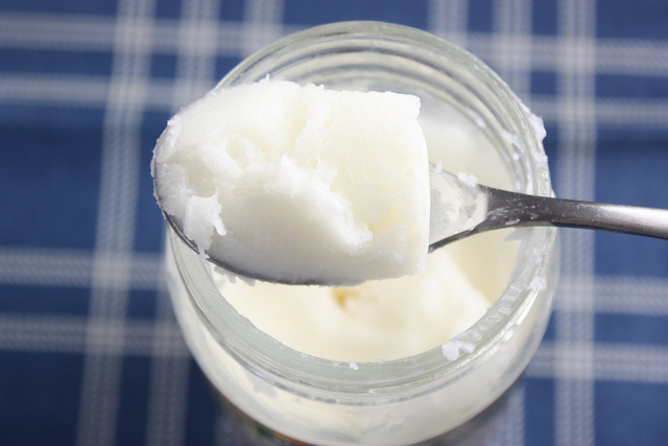 Its shorter chain length is thought to be why coconut oil may not have the same effects on LDL (bad) cholesterol as other saturated fatty acids. But there is little evidence for any health benefits of Lauric acid at this point. To be prudent, it is best to use coconut oil occasionally as part of a healthy eating plan. Flaxseed oil (also known as linseed oil) is claimed to have similar health benefits to marine omega 3 fatty acids. Flaxseed oil contains a high proportion of α-Linolenic acid (ALA), which in theory can be converted to omega-3 fatty acids by the body. But we are not efficient at doing this and there is little evidence that flaxseed oil has the same protective effects as the omega 3 fatty acids from fish oil. Flaxseed oil degrades rapidly when heated or exposed to sunlight and should be stored in a dark place in coloured glass. It is mostly used on salads and as an addition to cold dishes and drinks, but should not replace the two fish meals a week suggested by the National Heart Foundation. Fats and oils are important in our diet, but should be used carefully and as part of a healthy eating plan. Try to avoid too many saturated fatty acids by choosing oils that are liquid at room temperature.